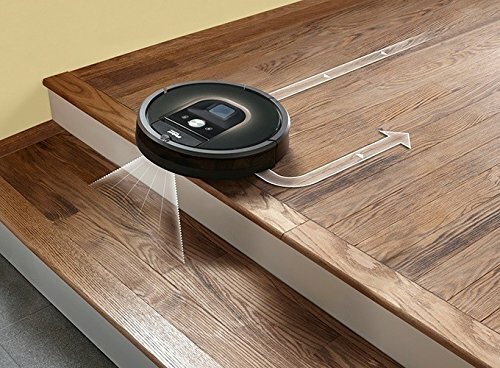 While some may view a vacuum that costs nearly a grand ridiculous, the cost is practically the only drawback to the iRobot 980. 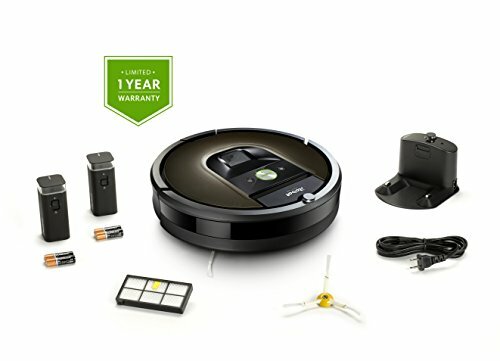 The positive features of this Roomba cleaner far outweigh the cost negative. 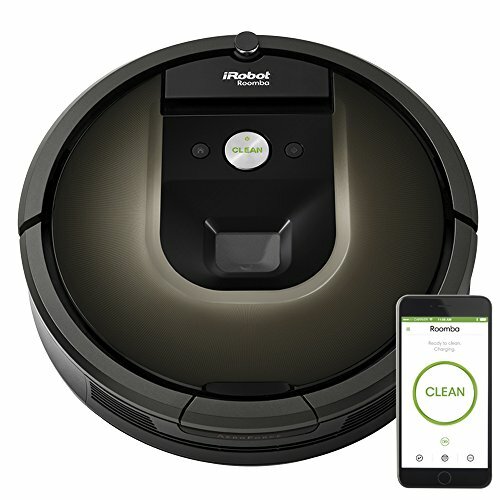 Let’s take a look at everything you need to know about the iRobot Roomba 980 vacuum cleaning robot before you make that decision. Granted, if you live in a small apartment, this particular Roomba vacuum cleaner may be more than you need since it is designed to clean 2000 square feet. Even then the added conveniences, such as the iRobot app and the ability to recharge and keep going on its own, could make it worth the money to you. This article has an excellent chart for quick review and detailed explanations to see what you’re paying for at each level. After a little research, choosing the best Roomba vacuum to fit your needs and budget will be comfortable. 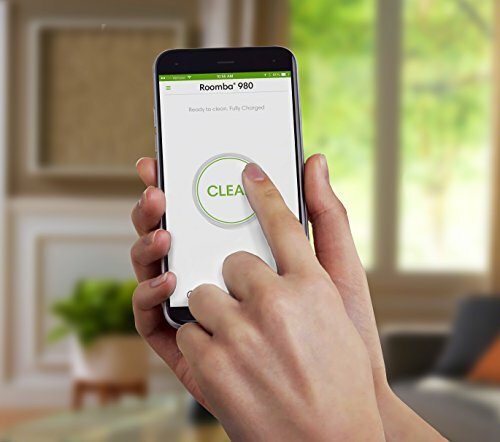 The additional features available in the Roomba 900 series are Wi-Fi connectivity, visual mapping, & recharge and resume. 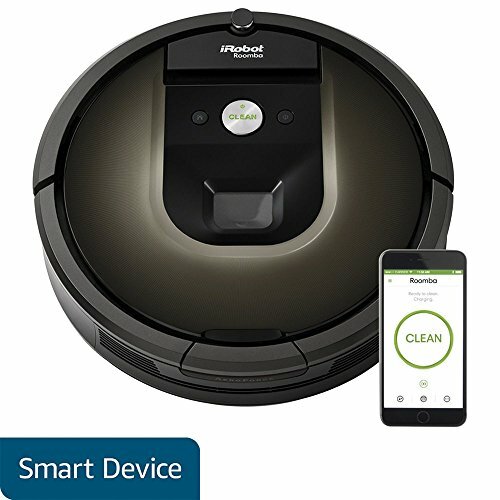 The Wi-Fi connectivity allows you to download the iRobot app to your Android or iOS smartphone, give it a name, and has a ton of features. You can schedule when you want your home vacuumed. Using sensors, it will map out your home as it goes and shows you where it has cleaned. The app will also tell you when it needs maintenance. The recharge and resume feature is excellent in that the Roomba will go back to its recharging station when the battery is getting low, then finish cleaning once it has recharged. Reviewing the Roomba 980 parts will give you the first clues at how this little machine performs. First, let’s look at which pieces make this the best Roomba model, especially for cleaning a larger home. 1. The stronger motor allows for a more powerful clean. 2.The power boost mode for carpet cleaning. When this model detects a carpet or a rug, the suction automatically pulls ten times harder giving your fabric flooring a deeper clean than is needed for your hard surface areas.3.Rubber brushes rather than the more common bristle brush to prevent tangling. This is particularly helpful when pet hair is involved. 4. Small height to enable the vacuum to clean beneath furnitures, such as sofas and beds. 5. Infrared sensors that help detect furniture and walls. 6. Artificial intelligence to remember your home’s layout. 7.A three-pronged brush to clean debris away from walls and corners allowing the suction to pull them up into the bin. 8.A movable part on the front of the machine that will enable it to easily bump and turn when it reaches a wall or obstacle. You’ll first want to choose a location for the recharging station to be. As long as your Roomba begins there, it will go back there. Should you pick up and place the Roomba where you want it clean, you will also have manually to return it to the recharging station. The Roomba must be plugged directly into the electrical outlet; plugging it into a power converter will void the warranty. However, using surge protectors in the event of severe electrical storms will not void the warranty. 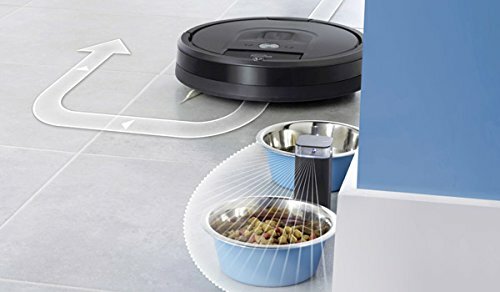 The iRobot Roomba 980 comes with two dual-mode virtual wall barriers. With the flip of a switch, you can choose to block an entrance to another part of your home or to protect an area (up to 4 feet) where you don’t want the vacuum to go. These are portable and can be moved throughout your home as needed. Set them up before each scheduled cleaning. 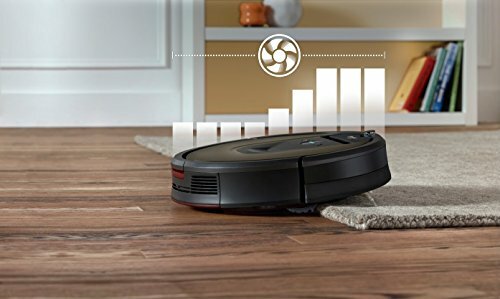 You need to pick up small toys, clothing, and paper from the floor before using your Roomba to avoid any possible damage to your vacuum or to anything that could be broken if a power cord were dragged. Follow the Setup Guide in the owners manual to begin. This will give your Roomba a home to go to when not in use and to recharge. It will also guide you through downloading the iRobot app. Once you have activated the battery and it is charged, you are ready to clean. Press “clean” twice – first to wake up the vacuum and second to begin cleaning. To pause during a cleaning cycle, press “clean” once to stop it and again to resume. The Roomba will clean an entire floor during each cleaning cycle. If it needs to recharge before rinsing it thoroughly, it will go back to base and resume once the battery is full again. The only time will not do this if you manually place it somewhere. In that instance, it cannot go back home because it doesn’t know where it is and you will have to return it manually. Occasionally, you may need to reset your iRobot Roomba. This is an easy fix. Press the clean button, holding it down for ten seconds, and your vacuum will play its reboot tune. Emptying your iRobot Roomba is as simple as removing and emptying the vacuum bin. Also, lift the filter door atop the container, remove the filter and tap it against the trash can. When you are cleaning Roomba, be sure always to use a clean, damp cloth…not soppy wet. Also, do not pick up your Roomba with wet hands. Remember, it is electrical; water and electricity do not mix. You could shock yourself. Before replacing the bin, wipe the full bin sensors located on each side of the bin area with a clean, damp cloth. Wipe the inner and outer sensor points on the bin itself with a clean, wet cloth. Return bin and your Roomba is ready to go again. The iRobot Roomba battery holds a charge for two hours and can be recharged 400 times. When it has served it’s full life; it can easily be replaced with a new battery. Parts can be ordered online and delivered to your door. 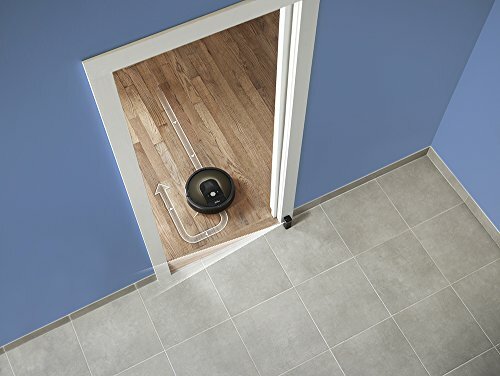 While Roomba was initially designed for hard floors, advances in technology have made the iRobot Roomba 980 the best option if you have a large home with both hard and soft flooring throughout. It can quickly move from one height to another and adjust its cleaning suction to get deep dirt out of carpets and rugs. Yes, you are going to pay for this technology. However, consider the time it saves you and the advantage of always having a clean home. Keeping dust off your floors will also improve the quality of the air you are breathing inside your home. Irobot Roomba has a replaceable hepa filter that collects and reduces microscopic dust and dirt from animals and allergens in the air. The iRobot Roomba 980 is especially helpful in relieving stress from today’s lifestyles. Consider it an investment in time – giving far more to you than just a clean floor. This can be a life-changer for busy moms and overworked executives, as well as for allergy sufferers. Looking at it this way can give you a real incentive to bite the bullet and take the plunge. Think of this as a gift to yourself! 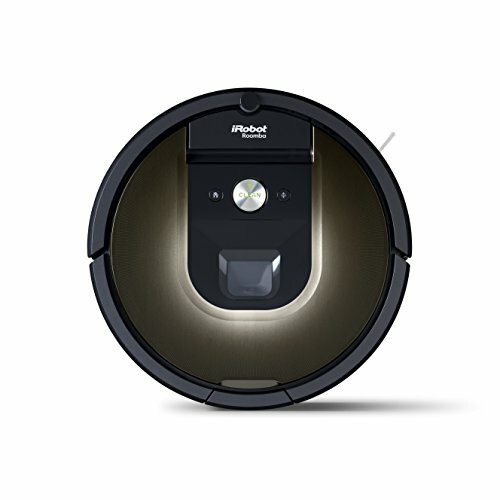 Click the button and order the iRobot Roomba 980 today! There are several reasons why the iRobot Roomba 980 seems to beat the competitors in reviews. 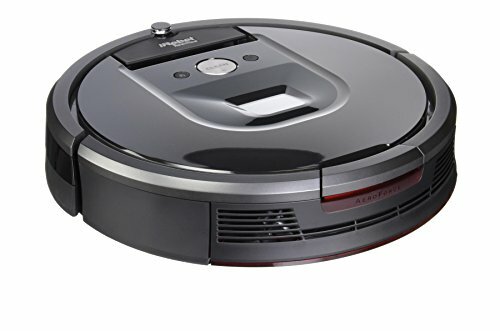 It is in our opinion one of the best robot vacuum cleaners on the market!